We are located near rose garden of Udhagamandalam, which is considered as one of the best centre of tourists. visit our Rooms & Tariff Page All Tariff are available there. Al woodland Residency- Explore Udhagamandalam like never before. We understand value of comfortable stay on a trip. Make your trip unforgettable with our resort. With world-class facilities and reasonable charges, we have emerged as perfect resort to opt for. Call us now and enjoy 10% off on all bookings through phone. Al-woodlands is located at heart of this hill station near rose garden. Because of perfect geographical location, our resort offers Panoramic view of entire town. Get Ready to Explore Ooty from the Best Location. I visited Ooty with my family and stayed for 3 days. Room's facilities were beyond my expectation. At a reasonable cost, we got pleasent stay and received excellent hospitality. 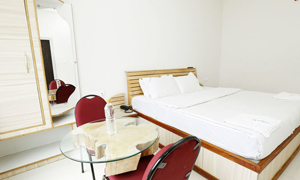 If you are looking for a budget hotel then you can opt for this one. I stayed at Al-woodlands and received more than expectation. From geogrphical location to internal infra of resort, everything is right with this resort. Perfect place to enjoy scenic view of hill station. 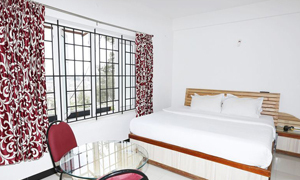 “Alwoodlands” is a resort with utmost comfort and cost effectiveness at Ooty in customer Budget. At this hill station, we have been known as a leading resort since our inception. We are an old and reputed name in city because we are available in city from the time when only few hotels were available at this hill station. Since then, we have maintained reputation by catering right solution to people for their accommodation in city. We have always tried to come up with the best facilities so that we can facilitate people in different possible ways.